The back of a seed packet lists all the information one needs to directly sow seeds in the ground. Let’s go through it item by item with this Cauliflower variety, Early Snowball and Carrot variety, Scarlet Nantes. 1) Planting Depth – When we make a trench to lay our seeds the distance from the soil line to the bottom of the trench is the planting depth. 2) Seed Spacing – Refers to distance in trench between seeds. With carrots its 3-4 per inch. Don’t overseed. It makes thinning later more difficult. 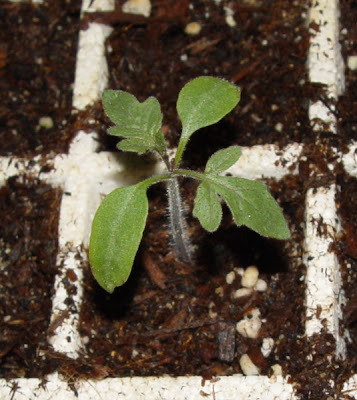 3) Days to Sprout aka Days to Germination refers to the length of time between when a seed is first planted and when it first appears above ground. 4) Spacing after Transplanting or Plant Spacing refers to the distance between plants once all thinning and transplanting has been done. 5) Row Spacing refers to the distance between the rows. 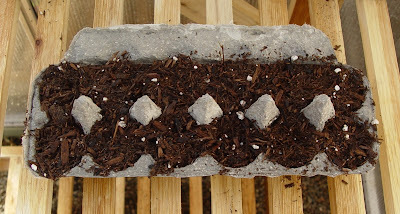 In school gardens we use mostly raised beds and not large fields in which these seeds are intended. The distance between rows in a raised bed can usually be greatly reduced. 6) Days Until Harvest aka Days to Maturity is the time it takes to go from seed to table. Some will start from the day the seeds are planted while others use the day the seedling are transplanted to their final position. Notice cauliflower takes 60 days however it is started indoors for 4-6 weeks. If we plant cauliflower directly in the ground our Days until Harvest will be 88-102 days. 7) Misc – The following information is sometimes included but not always: light requirements, soil requirements, irrigation suggestions, when and how to harvest, fertilization requirements, and, growing suggestions. End of summer also means end of the cycle. Plants have flowered, fruited and are putting out seeds to ensure their survival. Students returning at the start of the new term should be on the lookout for seed-bearing fruits and dried flower heads. We would like to offer you something VERY unique for your fundraiser program this year: A very unique, high quality line of organic and untreated garden seeds not available in discounting chain stores. Over 500 varieties. No order forms. No catalogs. Prices NOT inflated for fundraisers. Steady stream of income from all year sales. Our program is simple; your “customers” buy seed from our website and you receive a check for 40% of the sales. This is how it works: we provide you with a website url to advertise to your potential “customers”. This url can be included in an email, a paper newsletter sent home with kids, automated phone messages, or placed on a website. The success of the program (how much you make) depends on how well and frequently you “get the word out” to your potential customers. Being an all year program, frequent reminders at appropriate times of year (winter, spring, and fall) will encourage repeat visits from customers – and a steady income flow during the year. Encouraging potential customers to forward your emails or newsletter to friends, relatives, or neighbors makes “door to door” selling unnecessary and opens up the whole country as possible customers! If you feel having a paper order form might assist you, no problem! We can email you an easy to print form to remind your potential customers to order OR to fill out and give to you to order (email me on suggestions for this procedure if interested). To get started … simply email me (inform@botanicalinterests.com) the following information: Organization Name (name you want check written to), Contact Name & Phone Number, Mailing Address, City, State, Zip Code, Email Address, Organization Phone Number (if different), and Website url. I will then email you a url which is to be used in correspondence or placed on your website. (If placing on a website, request a graphic to be used on the site). Our seed really is unique. 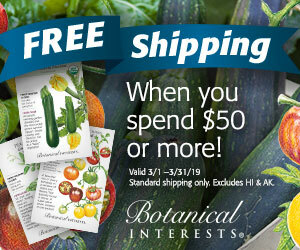 Check out the website your customers or you would order from at http://www.botanicalinterest.com/homegardeners.html. Check out the product at http://www.botanicalinterest.com/why_product_different.html. Additionally, any of your customers can email us seed questions at seedquestions@botanicalinterests.com! For additional information, drop me an email at fundraiser@botanicalinterests.com. Then start getting the word out and let the profits roll in! A germinator is any device that demonstrates the germination process. The following shows how to make one. Now that we’ve begun planting our seeds it is time to discuss germination. Germination is the process by which a seed breaks its dormancy, sprouts, and turns into a seedling. The best way to understand it is to observe it up close. In the classroom place some larger seeds like beans, pumpkins, peas or watermelon between layers of wet paper towel on a plate. Make sure the paper towel never dries out. It should feel like a wrung-out sponge. After a few days you will notice the root emerging.